I. Blodkar i hjernen. II. Aneurisme. III. 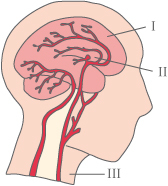 HalsarterieBleeding under the middle brain membrane meninges is usually included under the definition of strokes. A stroke is the common name for a blood clot in the brain or a brain hemorrhage. Bleeding under the middle brain membrane, however, has quite different reasons and symptoms than a blood clot or a hemorrhage in the brain tissue, and therefore deserves special attention. I. Rygmarv. II. 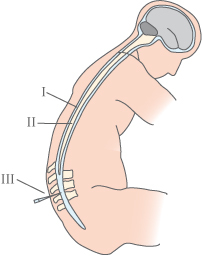 Spinal kanalen.